Residential and Commercial Services | Air Conditioning | Heating | HVAC | Kelso, WA 98626 | Twin City Service Co. When it comes to heating, cooling and indoor air quality, Twin City Service Co., Inc. is dedicated to providing customer satisfaction. No matter what the weather is outside, we are focused on providing total comfort inside. We will listen to your needs and determine what system is right for you. We consider the size of your home, your families allergy concerns, your budget and any other concerns you may have when we recommend the new system. Are you looking to reduce your energy bills? Consider upgrading your HVAC system. Air conditioning and heating systems today are more than twice as efficient as systems just 8 years ago. The higher efficiency rating of your AC or heating system, the more money you save in energy costs. We offer many services to help reduce your utility bills. We can conduct an energy audit on your home or business to find potential energy wasters as well as make recommendations to replace an inefficient heating or cooling system. Call us today to find out how you can start saving money on energy bills. 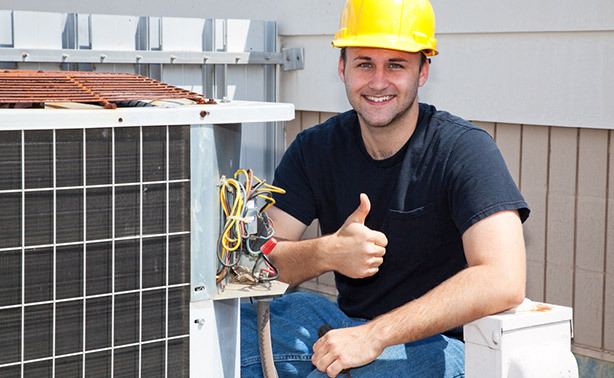 We provide annual air conditioning maintenance programs to keep your air conditioning system running properly. If you ever need repairs, our qualified technicians are here to help. 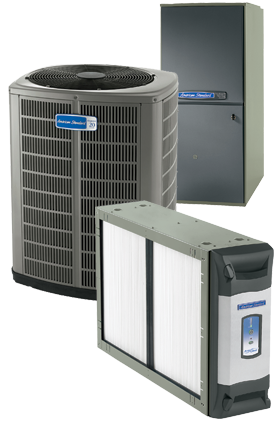 We offer furnace and heat pump installation, maintenance and repair. Our qualified team of technicians can service and repair any make and model. We offer a wide array of high efficiency heating systems if you choose to install a new furnace or heat pump system. Dust, pollen, bacteria, mold, and allergens should be concerns for every homeowner. Your indoor air quality concerns are our indoor quality concerns. We not only want to install a great heating and cooling system in your home but we want to install a system that allows you to breathe CLEAN filtered air. Many times the air inside your home has lower air quality than the air outside your home. Your families health is always important and we consider indoor air quality a major factor in our new system installations. We offer the very best in air cleaners and air purifiers. We offer whole-house air cleaning systems that can remove 99.9% of the airborne allergens in your home. If any of your family members suffer from asthma, consider installing an air cleaner in your home. Ask about our other indoor air quality solutions that can make your home comfortable with cleaner air.